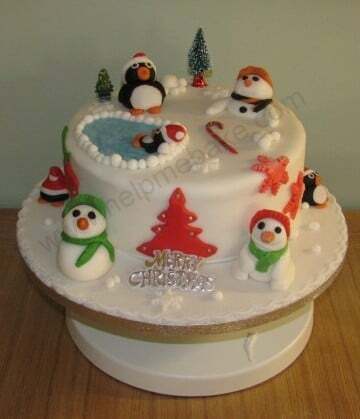 Christmas overload…this was a Christmas cake my Dad helped me decorate and was our centre piece for Christmas dinner. He had fun making the front snowmen and did really well considering they were his first attempt. He inspired me to do the penguins and we had a lot of laughs putting the final design together. 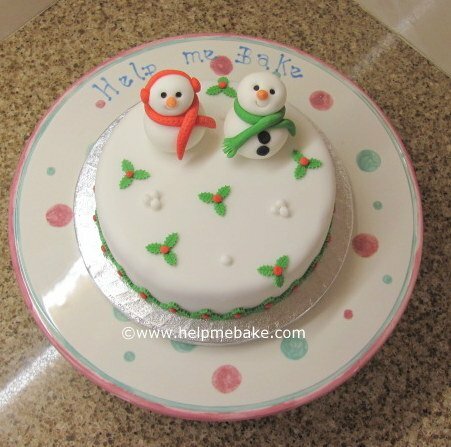 This was the first cake decorating topper I taught my students how to make on a festive fayre weekend in Christmas 2010 with Linda. 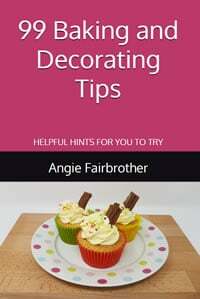 It was a very simple design and very easy to do yet very effective. It is simple shapes that form a snowman. This was taught in December 2010. Smiley snowman surprise! 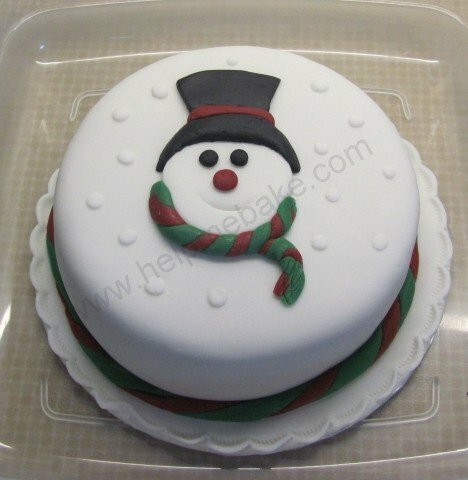 This is a rich fruit cake which was topped with brandy and left to mature for several weeks. 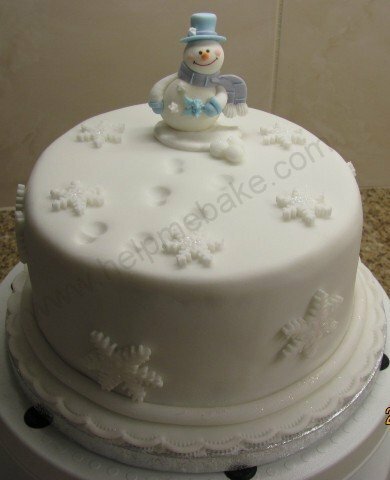 Once ready I covered it in marzipan and white icing, I then used a snowflake plunge cutter for the edible snowflakes and bought the snowman decoration to top it.